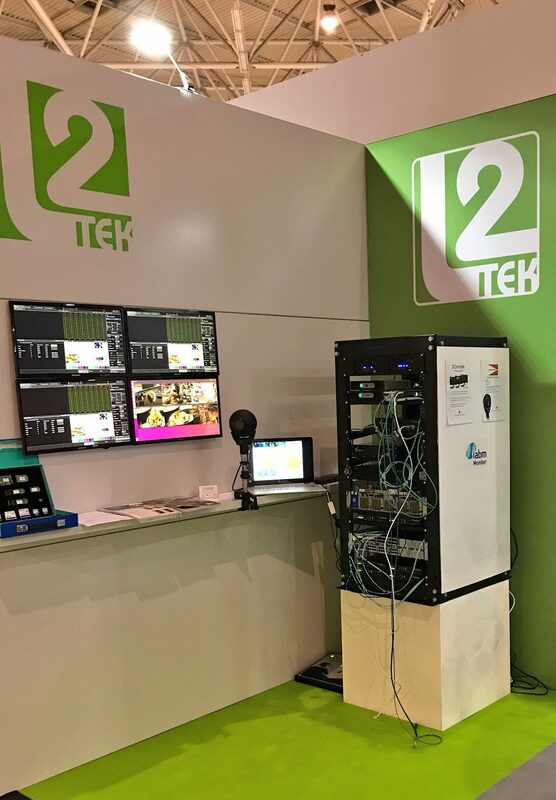 L2Tek, 20 September 2018 – For the first time in a decade of business L2Tek took the step of exhibiting at the IBC show. With a vast selection of suppliers L2Tek were able to provide an extensive demonstration on display with a myriad of parts from suppliers such as Kontron, Embrionix, CoreEl & Semtech ProAV. The breakdown of which is further detailed below. Furthermore L2Tek also had the company of both Semtech and Cambridge Electronic industries on the stand, both with their own respective demo units. L2Tek would like to thank the support from their various suppliers as well as all attendees who visited the stand. A Camera Corps Qx ball camera providing a 1920×1080 Full HD signal is connected to the CoreEl Stagebox, co-developed by L2Tek and BBC R&D. The Stagebox taking the SDI and converting it into 100Mbs AVCI, adhering to SMPTE 2022-2 throughout, before passing the signal into our Mellanox Switch. The Stagebox is also able to pass remote camera controls from the network back to the Qx. The Omnitek Ultra 4K Tool Box, kindly loaned to us, provides conversion, generation and analysis of TV and Digital Cinema signals in all current and anticipated video formats up to 4096 x 2160/60, allowing manufacturers, designers, researchers, broadcasters and systems integrators to build, test and commission 4K products and systems with complete confidence. There are also applications for the Ultra 4K Tool Box in Outside Broadcast vans and networks. This was used to provide a 12G source for the remainder of the demonstration in the rack and the test pattern displayed on the video wall. For the demonstration we used Embrionix SMPTE 2022 & 2110 gateways. The ST2110 Encapsulator Gateway converts two SDI signals into IP ST2110 set of flows. The miniature plugin device (SFP+) is installed inside the IP switch and will receive the SDI on the connector side to provide IP on the host to the IP Switch. This was used for our 12G test pattern feed from the Omnitek Ultra and HD feeds from Stagebox. We also had a Kontron CC12-DX1 server on display, a 1U, dual-socket compute server with 2 full-height expansion slots for any compute applications. Features dual Intel® Xeon® Scalable (up to 28 cores at 3.8 GHz), 24 x DIMM, up to 1.5 TB of DDR4 2666 MHz Reg. ECC memory, 4 hot-swappable 3.5 in. drive bays, and dual redundant power supplies. We then inserted a VYUsync PCIe card supporting 6 channels of H.264 video decoding on a Xilinx KU115 FPGA, with no host CPU requirements. The FPGA enabling a 10x power saving on traditional CPU/GPU. The desktop of the server with all 6 video channels on display was then connected to the Aptovision video wall. The BlueRiver SDVoE technology on display takes the HDMI feeds from the broadcast element of the demo and displays it on the video wall. The 3 encoder boxes each receiving HDMI 2.0 in from our 3 sources, Camera Corps, Omnitek & Kontron/VYUsync. The uncompressed, zero latency AV over IP streams from the encoders then entering our Netgear switch, before being distributed to the 4 decoders converting the IP back to HDMI, each connected to a display via HDMI 2.0. The BlueRiver technology also enables video scaling, windowing and audio downmixing. Precision Time Protocol (PTP) is a protocol used to synchronise clocks on a network and is the most flexible timing scheme for layer 2 networks or networks designed to support PTP throughout the system. It uses a Master / Slave architecture to accurately distribute a master PTP clock, taking into account the loading and unbalance throughout a typical IP network. Stagebox uses this clock to generate a Genlock signal used in traditional video broadcast systems. Stagebox is used as a PTP master, feeding into the Mellanox switch with PTP and boundary clocks enabled. All other devices int he rack slave to the Mellanox. The Mellanox is the core switch used to demonstrate SMPTE 2110 & 2022. The Omnitek 12G SDI feed being passed through an Embrionix UHD emFusion SDI-IP converter, through the switch and into an Omnitek Analyser to be displayed on the videowall. The HD feed from the Camera Corps Qx via Stagebox feeds directly into the Mellanox switch using a emSFP encapsulator, is then then decapsulated using emFusion-HDMI, to be displayed on the videowall. The half width switch size favourable for applications such as Outside Broadcast trucks. SMPTE2022, ST2110 and SMPTE2059 is also demonstrated on FPGA cores developed by CoreEL technologies. These cores targeted at Xilinx-7 devices provide easy integration into FPGA projects utilising the Xilinx AXI4 interface. The CoreEL IP cores are interoperability tested and in this demonstration are being used to encap / decap Embrionix feeds.  CoreEL were one of the first companies to show PTP used to lock broadcast networks through their collaboration with BBC R&D to develop the IP Stagebox and have been used in live productions for the last three years. On display in the rack was the Kontron SYMKLOUD MS2910 platform, this Top of Rack platform can act as an entire rack in itself. Through the use of 9 sleds the platform can be built with a variety of modular servers, redundant 10G switching and shelf management, or PCIe module expansion via new Modular Server (MSP8030) for additional storage, security, SDI video acquisition, and other hardware accelerated applications. Designed from the ground up for cloud/IT and NFV/SDN cable and carrier cloud infrastructure deployments. Achieve highly efficient virtualised application workloads for Video/Content Delivery, Big Data/IoT, Mobile/Telco, and Cloud services. It combines the best characteristics of carrier grade COTS hardware with the flexibility of high density, microserver cloud computing architectures, all in a compact, low-power footprint. In our demonstration used to receive our IP encoded streams and then forward them to the decoders before reaching our display. 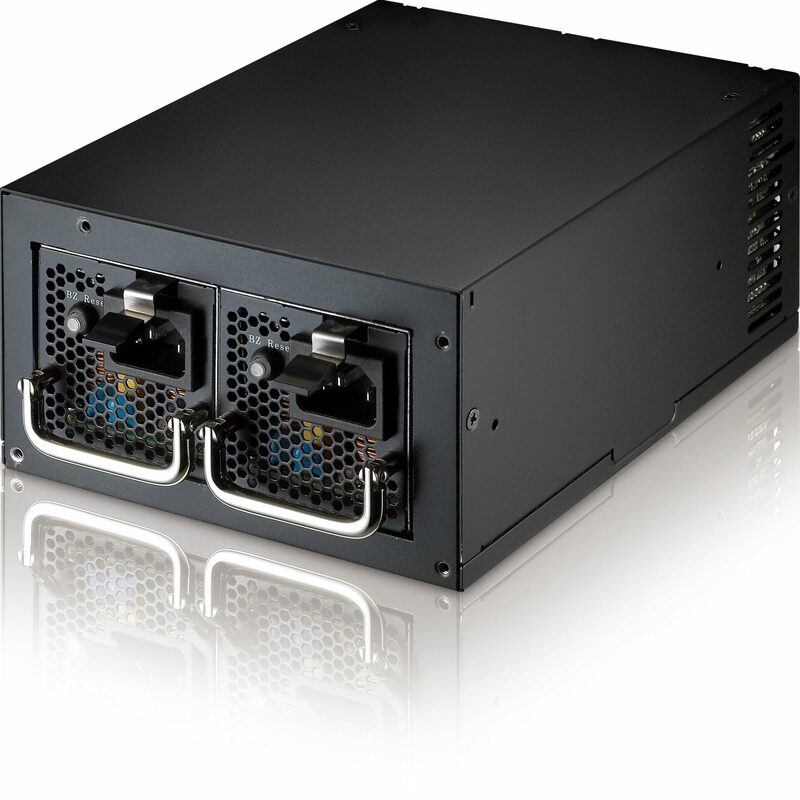 Twins series, a redundant power supply, is designed for standard ATX or PS2 chassis, no front end bracket needed, ideal for mail, web or home server.Hot swappable modules design provides stable power supply: when one fails, the other can take over the load immediately.Thus users do not need to worry about any server/PC power off situation. 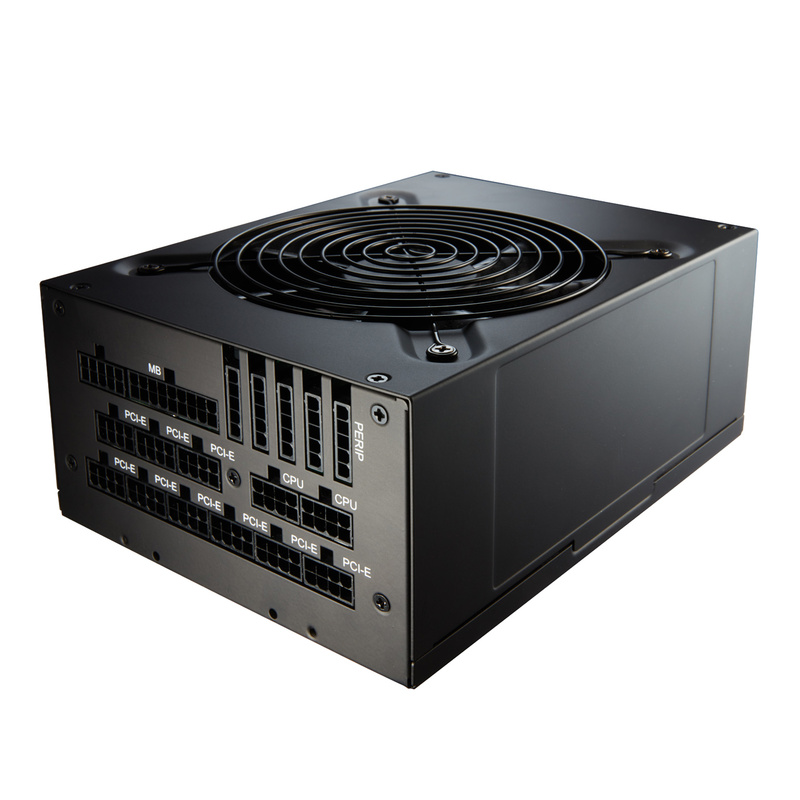 This 2000W PSU has been designed to provide stable output for mining rigs, with features such as 18 sets of PCI-E 6+2 PIN slots, and a 135mm FDB fan with internal component arrangement for increased airflow in rigorous environments. this 2000W PSU is definitely a premium on high efficiency PSUs for your mining rigs or similar applications. There was also a small sample box on display from ADATA Industrial with samples of all form factors on display. The company is ranked worldwide number 2 in DRAM modules and number 3 in USB Flash drives. Features including fixed material product, wear levelling, wide temperature, long product life time and flexible order quantities.